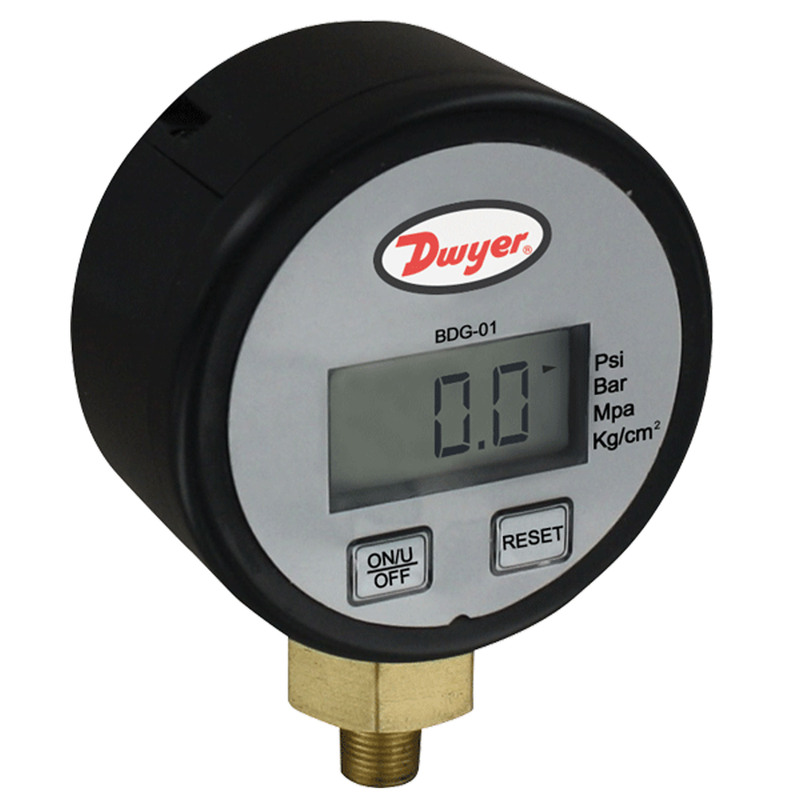 Dwyer Instruments Inc's Model BDG-01 Brass Digital Pressure Gauge measures gas pressure with ± 0.5% of full-scale accuracy at an affordable price. With brass wetted material, the model BDG is designed for your specific applications of compatible gasses. Its design allows for easy installation. User-selectable units of measure let one gauge be used for various pressure scales.